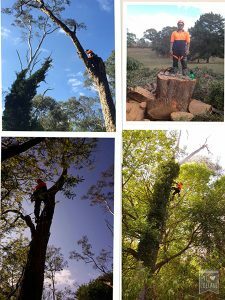 At Bradsworth Tree Services & Contracting we specialise in confined space tree removal, Australian standard pruning and reductions, tree climbing, specialty rigging and lowering. We pride ourselves on being prompt and professional to give our customers a happy experience and a job done safely. Being a smaller local business means that we can do better pricing than our larger competitors , all clients will be provided a copy of their comprehensive quote so both parties know exactly what needs to be done, and how much the job will cost inclusive of GST. Each job is different , there are so many variables in trees , this is why every job is quoted on its merits and Ryan from Bradsworth Tree Services & Contracting is happy to meet you on site and discuss the job in full detail with you. We are a local professional company that provide quality services from experienced Arborists, we will always turn up on time, however sometimes things can change and we will always contact you as a valued customer in the event we cannot make it to an appointment. The favourite part for me about being an Arborist/Business owner is working in a new environment every day, providing a service that people cannot do for themselves , and being involved in local community .